In the afternoon of November 14, over a hundred book designers from around the world gathered together in the exhibition hall of the Shanghai Library for the opening of the "Shanghai International Book Design Art Exhibition". On 14-20 November, all winners of "China's Most Beautiful Books" were displayed in the three exhibition halls of the Shanghai Library. 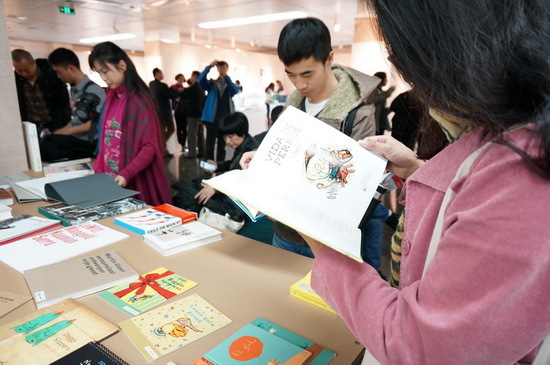 This is Shanghai's largest ever book design exhibition. The "World's Most Beautiful Books" award representing the highest level of international book design was born in Leipzig, Germany. Since 2003, Shanghai also selects "China's Most Beautiful Books" every autumn to participate in the contest for "World's Most Beautiful Books" in the following spring. 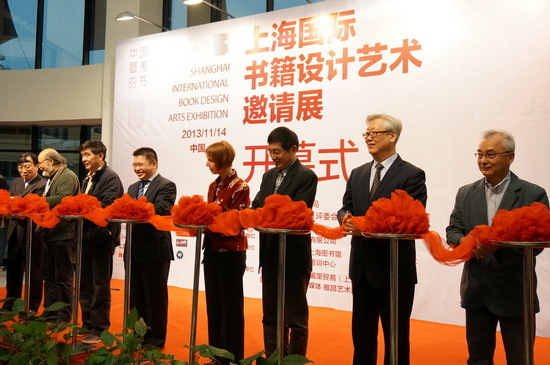 2013 is the 10th year since "China's Most Beautiful Books" award was established. In 10 years, 208 books won "China's Most Beautiful Books" award, of which 11 titles won "World's Most Beautiful Books" award, and Mei Lanfang’s Collection of Historical Materials of Theater won the gold medal. "In the circumstances when media continue to subdivide and competition increases, printed books can obtain a new life through exploring its media characteristics." Uta Schneider, former Chairman of the German Book Arts Foundation said that some people choose to buy books instead of downloading them online, which shows they cherish the feeling of having a book in the hand. Readers tend to have higher requirements for design, binding and qualities. Outstanding layout design is an important feature of printed books in the future.